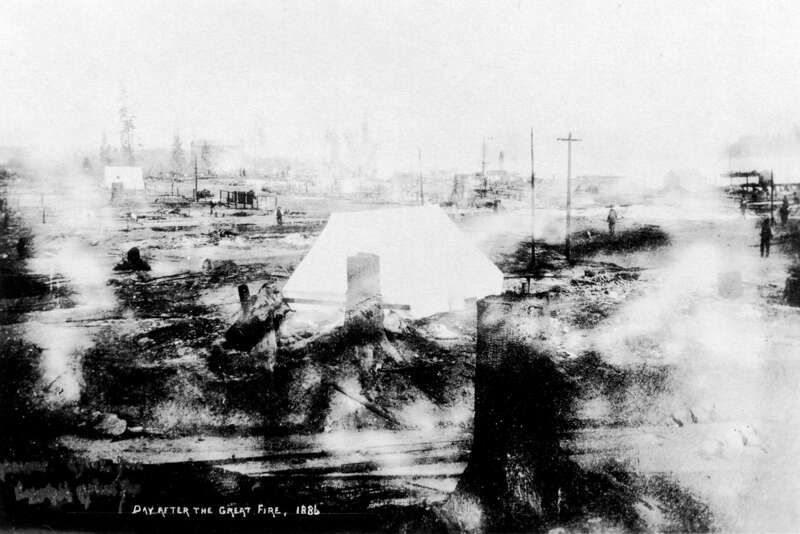 It was 124 years ago last Sunday (June 13th, 1886) that Vancouver was completely destroyed by fire. It began as a controlled fire to clear brush on the land, however it quickly spread out of control. The entire city (only a few months old at the time) was engulfed in flames within 45-60 minutes. 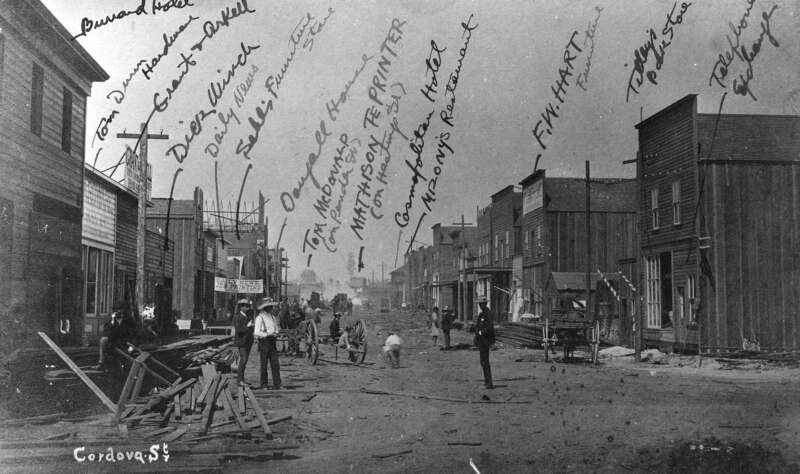 880 buildings were destroyed in Vancouver and 20 people lost their lives. 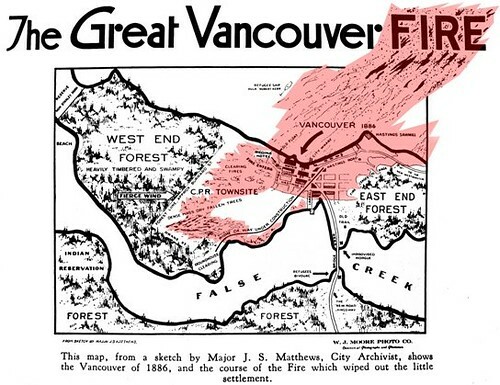 Due to the wooden construction and lack of a fire brigade with equipment to battle the blaze, only stone or brick buildings in Gastown, Yaletown, and parts of the West End survived. After the Great Fire the City of Vancouver passed a by-law that all buildings be made of brick and stone only1. Through fundraising afterward, Vancouver purchased its first fire engine and it was brought to town July 30th, 1886. In 1929 Vancouver City Council named June 13th as “Vancouver Day” — a time of remembrance and thanksgiving2. While only a few buildings from the original Vancouver townsite still exist today, it’s amazing to hear about how the city was rebuilt so quickly. Even today it seems as though Vancouver is in a constant state of construction. 124 years later we’re still a fairly young city but at least we are building our own history as we go. Awesome post Rebecca. Fascinating to see the photos. As a Vancouver born and raised girl, it’s fantastic to see the history. Interesting how they came to pass the bylaw that only brick/stone buildings were allowed. It is difficult to believe how quickly the city grew after this tragic event. 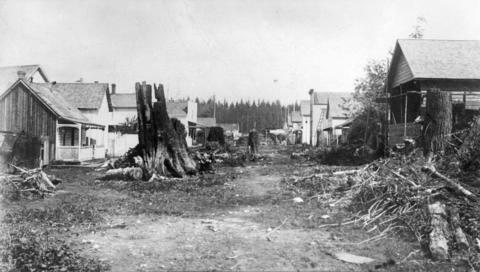 In less than twenty years, Vancouver had become a big city. There are many 1920’s Vancouver photos on my site, (and only to be found on my site). There are almost fifteen hundred one of a kind original photos @ historicphotos.ca., with a few hundred soon to be added. These will be of 1950’s Vancouver, all by a prominent photographer of the era. A new website is under construction. I also present one hour slide show lectures on these collections. The Warehouse Recording Studio and its basement was supposedly used as a temporary morgue for the 20 dead. If you go into the basement you can see the black lines on the walls as to where the fire was. People have often spoke of the warehouse being haunted. I myself along with my band members had some funny situations occur their. Also, The Cambie would have you believe that they are the oldest bar in the city. Not true. The file reached the Yale, stopped at its walls and turned the other way. The Yale is Vancouver’s oldest pub. Why has there not been a, “Vancouver Day,” since. Lets have one this year. In 2012.